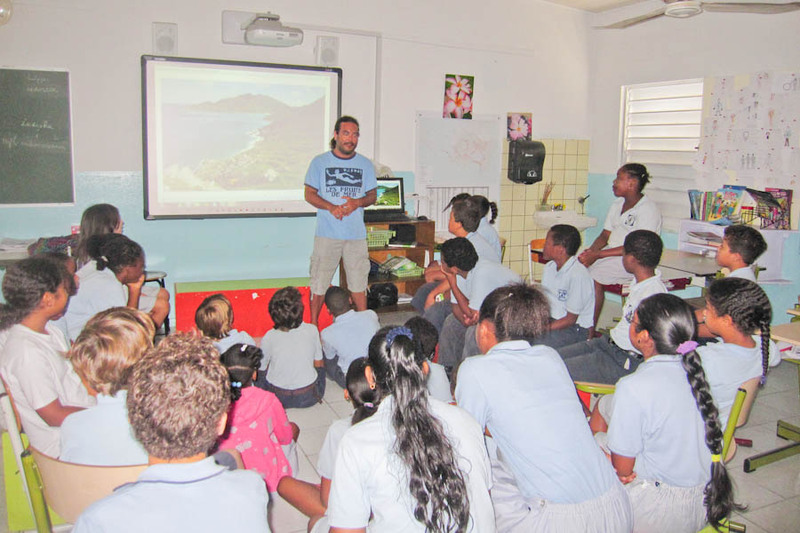 Help us bring wildlife education into classrooms and bring classes out to the field by sponsoring a school visit. 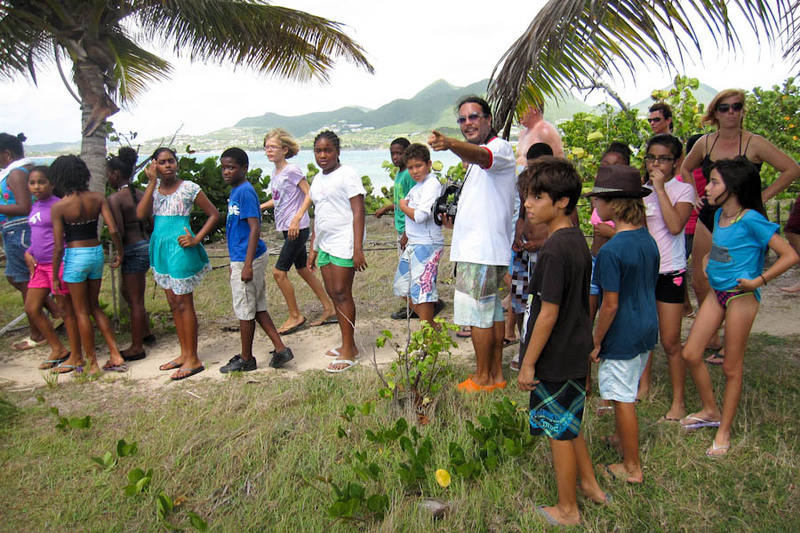 For $50 you can sponsor a visit to a class on St. Martin, either a presentation or a field trip/nature walk. 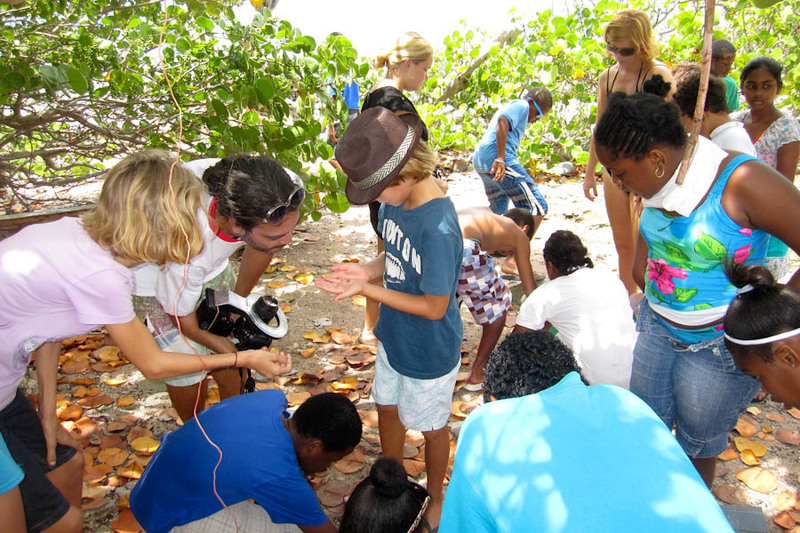 Your donation will cover transportation (bus fare or car rental), supplies as needed for hands-on activities and a copy of The Incomplete Guide to the Wildlife of Saint Martin for the class. Our education events have already impacted hundreds of students on the island, but there are thousands more we have yet to reach. 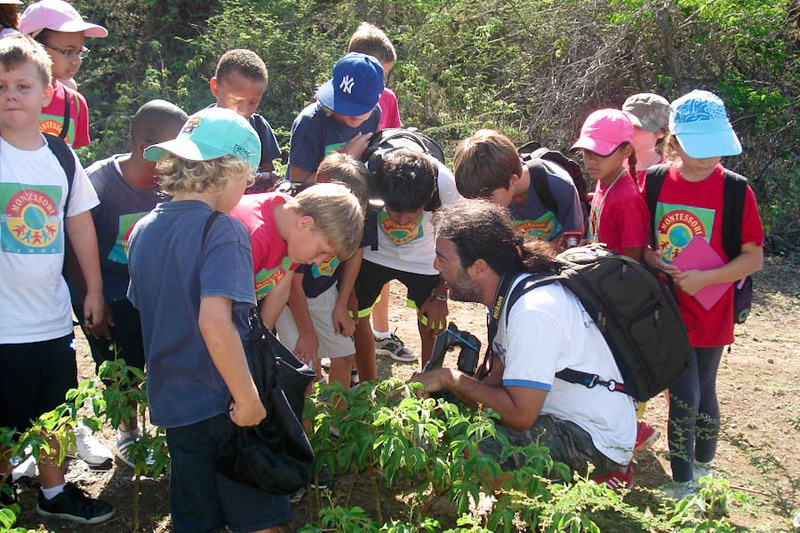 Presentations with eye-catching photos, nature hikes and hands-on workshops with students capture the imagination and spark interest in the fascinating wildlife of the island. 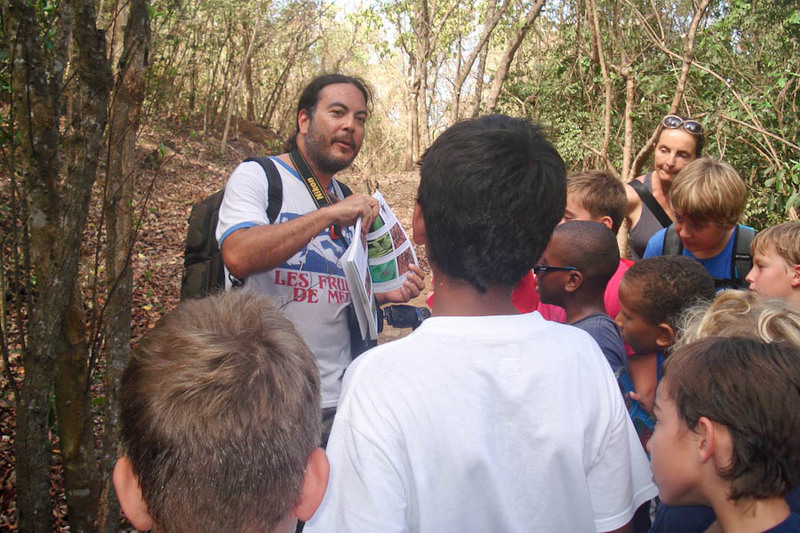 Having the wildlife guide book in the classroom after the visit gives students the opportunity to learn more after the event and identify the animals they see around them. There are over 50 schools on St. Martin, with multiple classes at each school. 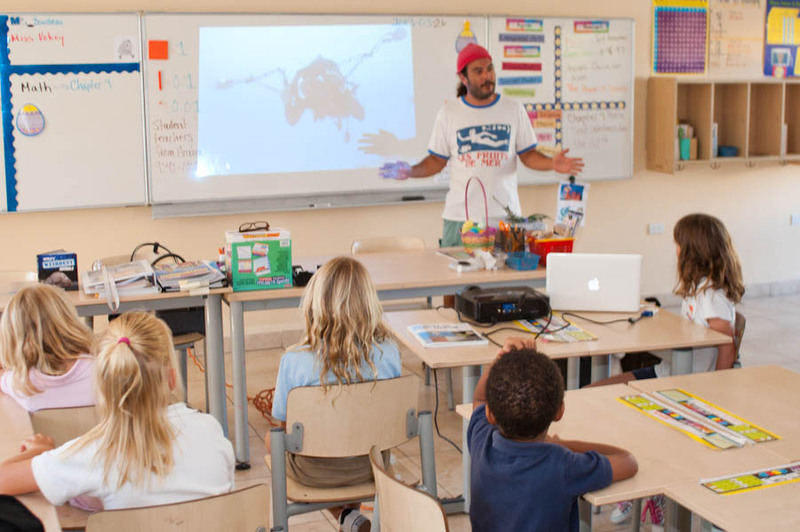 While it is possible to give presentations for larger groups, working with students at the class level seems to be the most effective interaction. This means that covering all of St. Martin’s students will take literally hundreds of events. It won’t be possible to do this all in the fall of 2013, but it will be possible to do dozens of events if we are able to finance the program. To sponsor a school visit, you can use the PayPal button below to make a $50 donation to this program. For other sponsorship options, visit the donation page. If you have any questions about the program, contact us. Thanks to our sponsors for helping us bring wildlife education into St. Martin schools! Here are just a handful of reviews from students at past events. Find out more about past events on our Education page. Hi! Mark! It’s Chadwick — the one who had the blue ds. And I am Joseph — the guy with the blue glasses. The field trip was great!! It was truly awesome even for me, and that’s saying something. So, we’d like to say thank you for hosting that awesome field trip. Hi, Noah and Justus here. Thanks for the hike Mark. It was an awesome hike. We enjoyed the spider eggs in the bark!!!!!!!!!!!!!!!!!!!!!!!!!!!!!!! 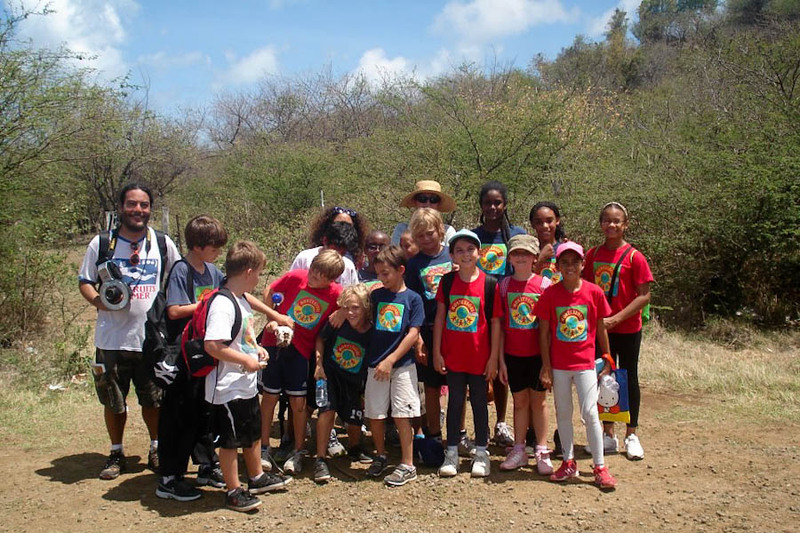 We really liked the wonderful nature hike, it was very interesting! I have never experienced such a great hike — it was awesome! I loved the new bugs we saw.